The Atlassian Team Calendars team is pleased to announce the release of Team Calendars 2.3. This release we focused a lot on helping you stay up to date with upcoming events in your team. 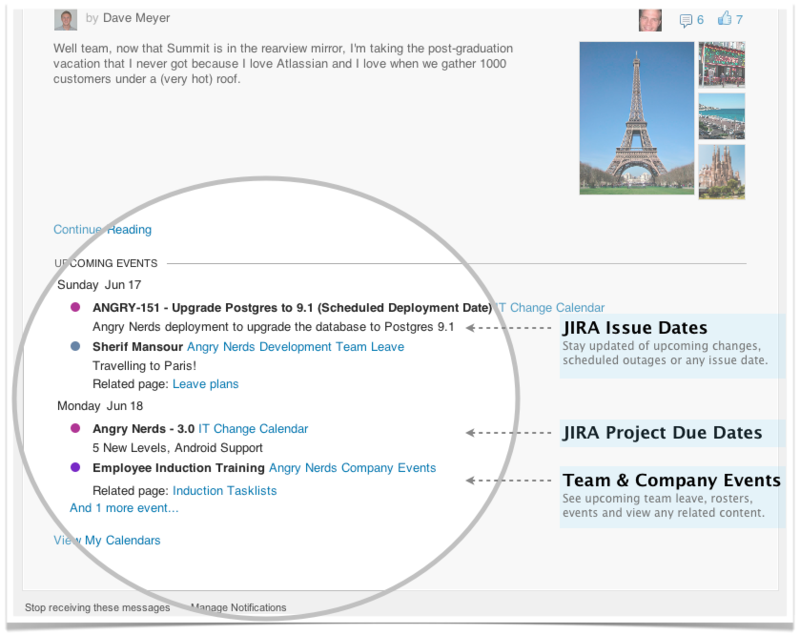 Learn more about using JIRA Calendars to track your upcoming releases and issue dates. 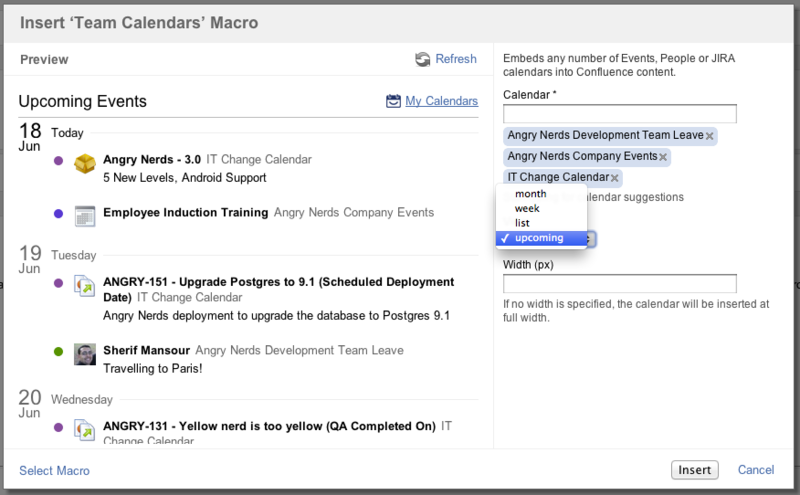 As of Team Calendars 2.2, we've stopped adding new features for Confluence 3.5.x. We can now start taking advantage of all the new 4.0 editor plugin points, and we got started on some improvements in this area. Now that newer versions of Team Calendars support Confluence 4.0 or greater, we can start to make use of some of the Confluence 4.0 editor plugin points. So you can now quickly change calendar views using the editor property panel. Previously, when you embedded a calendar on a page you would see something like "calendarID=349834j232" in macro parameter list for the macro - which wasn't helpful in identifying what calendars were embedded. As of Team Calendars 2.3, you will now see a preview of the calendar name(s) that you have embedded. The Email Summary Integration feature requires Confluence 4.2 or greater. Alternatively, download the latest release from our plugin exchange and install it via the Plugin Administration screen. This should upgrade Team Calendars to 2.3.0 (or higher).